At PeopleVine we do our best to provide the most current and up-to-date support experience for our users. Submitting a ticket is not an ideal process for someone that needs a fast solution. That's why we prefer to chat with you. 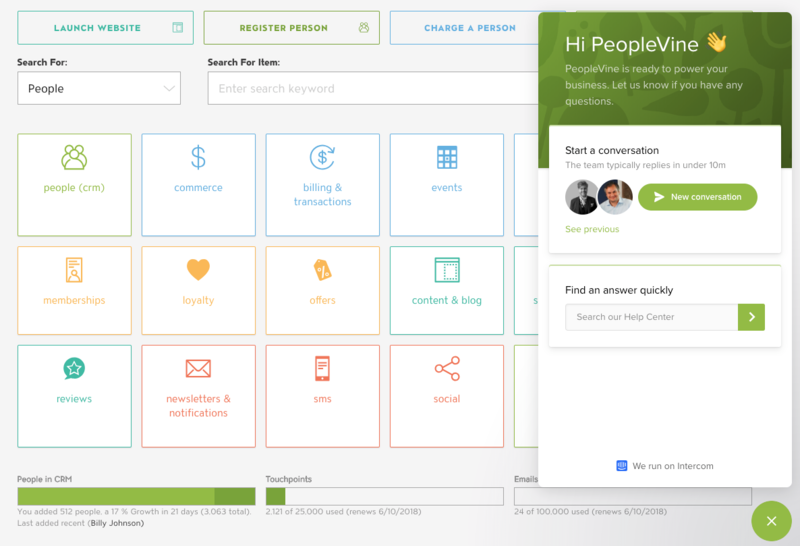 While using PeopleVine, anytime you have a question you can click the chat icon in the lower-right corner. You have access to our support team to assist you with learning the best practices, troubleshooting issues or simply tell us how you feel. Email us at support@peoplevine.com and we still treat you like the VIP that you are. You can register for the webinar via our website. If you don't have time for a webinar, we also cover the details of getting started on our Tutorials page.